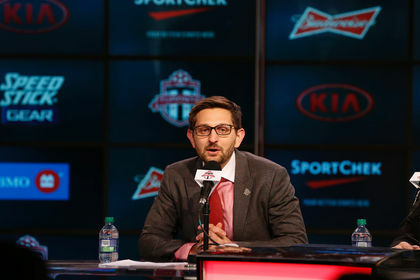 Major League Soccer and the union representing its players resumed labour talks on Wednesday with hopes of reaching a last-minute deal on a new collective bargaining agreement and avoiding a work stoppage. With the 20th MLS season scheduled to open on Friday, the negotiations are expected to go down to the wire on Wednesday as the sides seek to craft a new five-year deal to replace the previous agreement which expired on Jan. 31. The players union (MLSPU) and representatives from the league and its clubs were locked in talks late on Tuesday at the Washington offices of the Federal Mediation and Conciliation but no deal was reached. The main sticking point in the talks appears to be the players' demand for the introduction of free agency. Players have threatened to strike if their hopes are not met. "They're locked in a room trying to figure out a new collective bargaining agreement," Eric Shanks, president of Fox Sports Media Group, an MLS broadcast partner, said at the Sports Business Summit in New York City on Wednesday. "We get updates as frequently as they can get out of the room. I don't think there's any real news except that there's no deal - yet." ESPN reported that there had been some movement towards an agreement on Tuesday with MLS offering free agency to players who are at least 28-years-old with eight years in the league. Neither the union nor the league would comment. The defending champion LA Galaxy are scheduled to open the season on Friday against the visiting Chicago Fire. With Chicago due to depart for that game on Wednesday, the pressure is on MLS and the union to avoid a disruption to season. Among the scheduled games for Sunday, when the season begins in earnest, two MLS teams will make their debuts as New York City FC travel to Orlando City, who have sold 60,000 tickets for the clash at the Citrus Bowl. "We're preparing as if we're kicking off at 5 p.m. Sunday," Orlando's English coach Adrian Heath told the Orlando Sentinel. D.C United were due to face Costa Rican team Alajuelense later on Wednesday in the CONCACAF Champions League quarter-finals and it was not clear if that game would be affected by any possible work stoppage.